Aquamarine genuine gemstone inspire calm, spirituality, and mental clarity. Aquamarine celebrates the 16th and 19th wedding anniversaries and March's birthstone. Named for the waters of Antiquity, aquamarine exerts a powerful allure. It draws its strength from the popularity of its pale blue hue, similar to the clear sky on a summer day. 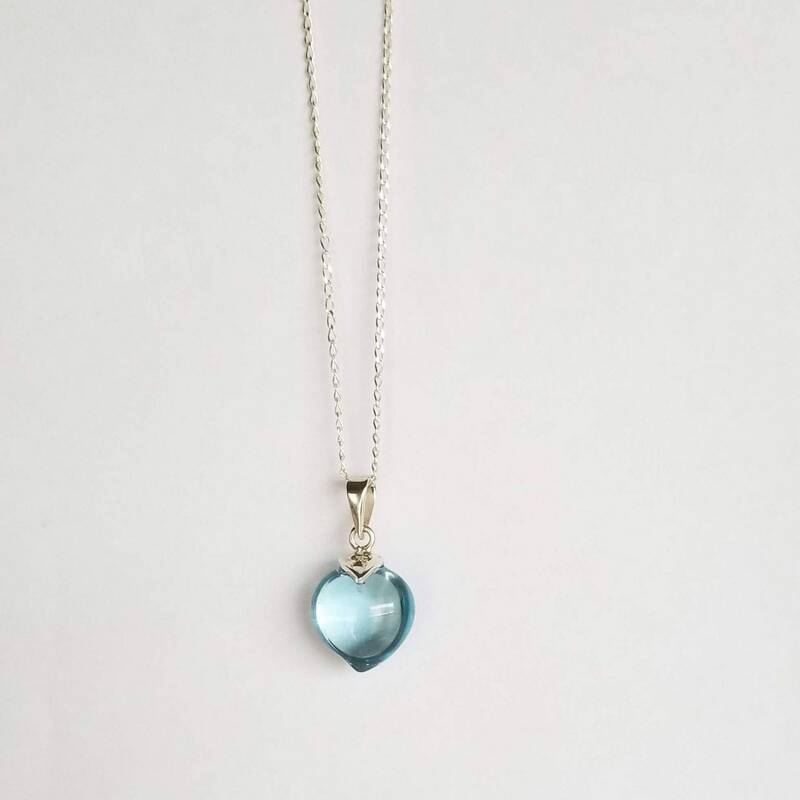 This exquisite necklace features a heart shaped aquamarine. 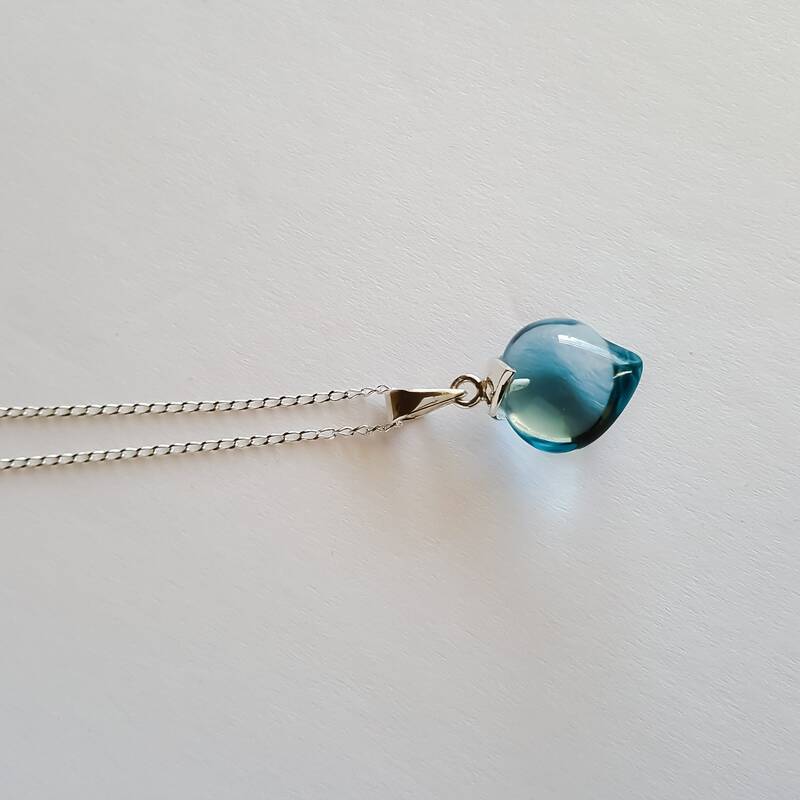 The aquamarine gem has been hand-polished. 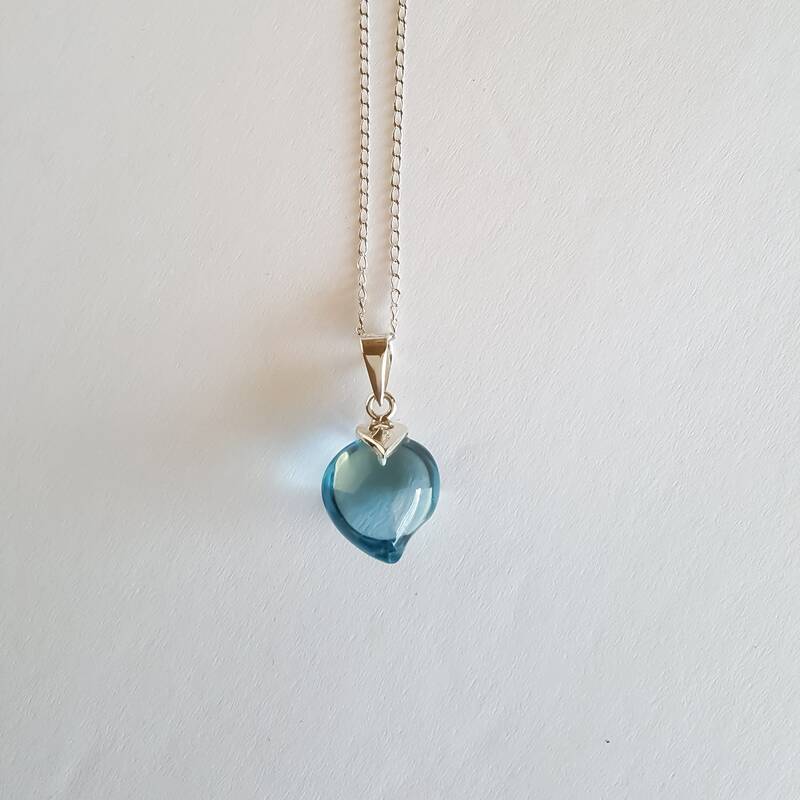 One of a kind pendant hanging from sterling silver chain. Pendant width: 14.5 mm x 16.5 mm. Each one of our pieces is carefully handcrafted individually to preserve quality and uniqueness. We guarantee full satisfaction or full refund. Please check our return policies. Feel free to contact us if you have any question or have a special request.